Sitting in my hotel room at the Warwick after another 3 day tour up in Sonoma County. The group of 4 I was with knocked off 21 wineries yet again, with about 17 of them being new to all of us. I really have no desire to ever visit Napa Valley again, other than a few restaurants and Casa Nuestra. The wineries and people in Sonoma just seem a tad more laid back, not as “corporate”, and really want to get to know the people who come into their wineries. The hotel, Haydon Street Inn in Healdsburg, was great once again as well. We got the only 4 person room there, which has a living room, kitchen, and private hot tub. It was nice to be able to spread out after tasting all day, and not be stuffed into a small room with nowhere to move. I highly suggest if you make it up to this part of wine country to hit Woodenhead, Sbragia, Unti, Stryker, Nalle and Harvest Moon. Dehlinger was a lucky break, as we got a tip from the wine maker at Pelligrini that they were having a private tasting, which they only host once a year, otherwise the place is closed to the public. The winery is not on most maps, but through a little research we found a street number and mailbox, and it paid off big, as their Pinot might have been the best of the trip. Seeing I don’t have the camera with me, I can’t really upload any pictures we took over the weekend, but they’ll get up here eventually, plus with some more details of the trip. Off to hang out with my buddy Bondo, and relax for the night in San Fran. So we figured after the long trip we just took, we both decided that we needed one thing: a vacation! So today we head out to San Francisco. I’m heading out for a week, while Annemarie will only be out for 3 days. I usually hit wine country once a year, and last year was the second time we went with some friends. Unfortunately, Amy & Nick can’t make the trip this year, so it will be a debacle, albeit smaller, with Jon and Rachel. I then have to stay behind to hit up Ad Tech in San Francisco to do the usual conference things. Shaking hands, exchanging cards that you’ll never look at again, chest bumps, hi-fives, one arm hugs, and the oh so familiar “hey, how are ya?” Who was that again?? Like our travel, we like to do things overboard. Last year in three days we hit 21 wineries in Napa and Sonoma. Our goal this year is to hit almost as many, but only in Sonoma County, and all of them have to be new to us. I think we can do it, as we like to try out as many wines as possible, and the girls like to collect as many stone wine coasters as they can. 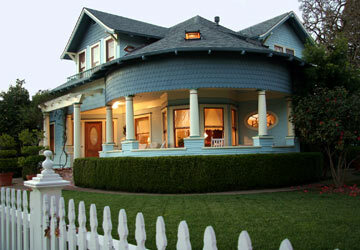 We’re staying in a small town called Healdsburg, which has this great B&B called the Haydon Street Inn. We stayed there last year for one night, and had a great time. The hosts are real friendly, and cook up the best 3 course breakfast you’ve ever had. It will be nice to relax there for the whole weekend this time and enjoy it a bit more. I have no idea where we are going to go tomorrow yet, but I’ll fill you in once I can see and type on this thing again. Should be fun times as usual.